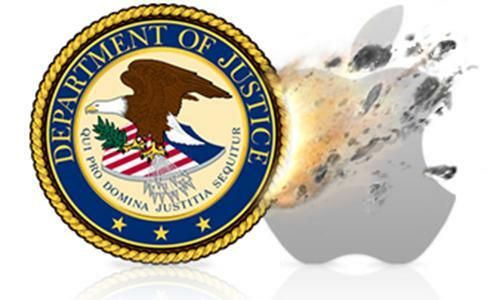 On Friday, a federal judge barred Apple from entering into further price-fixing agreements with other parties, and also ordered the that the iPad maker bring on an external compliance monitor in order to ensure the company's iBookstore does not again violate antitrust laws. U.S. District Judge Denise Cote  the same judge that presided over Apple's e-book price fixing trial  handed down an injunction against the Cupertino company. Under the order,, Apple cannot enter into agreements with major U.S. publishing houses that would hinder its ability to lower e-book prices or offer discounts, according to Reuters. Cote's order comes in the wake of the Department of Justice's court victory over Apple, a case in Cote found that Apple was liable for "facilitating and encouraging the [publishers]' collective, illegal restraint of trade." Under Cote's injunction, Apple will be required to stagger new contract negotiations with HarperCollins, Hachette, Simon & Schuster, Penguin, and Macmillan. Negotiations with Hachette would begin two years after the effective date of the final judgment, with Harper Collins negotiations commencing six months after that. Apple would be able to enter negotiations with Simon & Schuster, Penguin, and Macmillan successively every six months following. Apple would also be barred from enforcing "most-favored-nation" clauses in ebook publishing contracts for five years, as well as from entering into any contract containing such a clause for five years. This aspect of the injunction applies to all publishers, not just the five majors that settled with the DOJ. The injunction, set to go into place in 30 days, has a duration of five years. The court can choose to extend the injunction, though, in "one or more one-year periods" at its own discretion or at the behest of the DOJ. In addition to barring Apple from entering into antitrust agreements with the publishers, Cote also required that Apple bring in an external monitor to ensure compliance, saying that the monitor is necessary due to Apple's "blatant" antitrust violations. Apple has previously resisted such action, arguing that it would cause undue cost and burden. Cote promised to levy the injunction last week, and she delivered on Friday. The judge's order in the case is narrower than the punishment the Justice Department had earlier argued for. "I want this injunction to rest as lightly as possible on how Apple runs its business," Judge Cote was quoted as saying.